The notebook will always remain encrypted on disk and will only be decrypted into memory when you enter the password. Note that password protection is a new PRO feature and is available only to the CintaNotes PRO license holders. 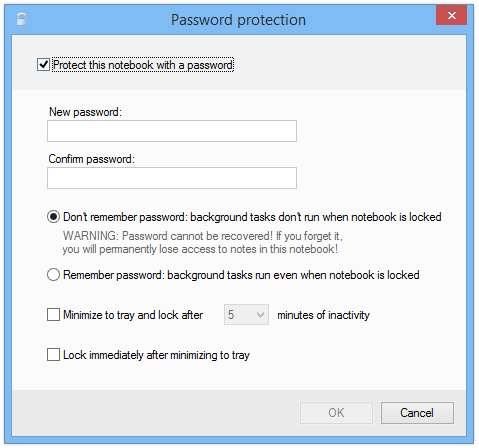 To set the password for the current notebook, select File / Password Protection. 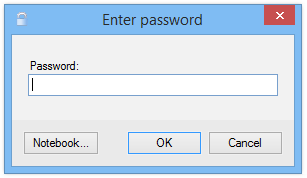 This will bring up the dialog window, where you can activate the Protect this notebook with a password checkbox and enter the desired password into the New password and Confirm password fields. The controls below allow to configure password options and we’ll examine them a bit later. Press OK and CintaNotes will report progress as it is encrypting the notebook. After the password is set, any access to the notebook when it is locked will require entering the password. Note that instead of entering the password, you can press Cancel to minimize CintaNotes back to tray (in case you activated it by mistake, for example). You can also click on the Notebook… button to switch to another notebook or exit the application. The password can be altered anytime after you have set it. To do so, go to the same File / Password Protection window and click on the “Change Password” button. The panel with the “New password” and “Confirm password” edit fields will appear. Enter the new password into them, then click on OK and re-enter the old password. After that the notebook will be re-encrypted with the new password. If you want to remove the password and decrypt the current notebook, simply uncheck the “Protect this notebook with a password” checkbox in the “Password Protection” window. After clicking OK and entering the password for the last time, the notebook will be decrypted. Now let’s take a brief look at other options available for the password-protected notebooks. By default CintaNotes will only keep the password in RAM and won’t store it on disk. This means that the password is unrecoverable – if you forget the password, you lose access to your notes. 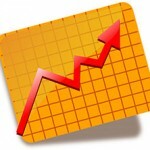 This mode is the most secure option and should be preferred for the most sensitive data. However it can sometimes be not very convenient, because all background operations like cloud syncing and backup will not run until the password is entered and the notebook is unlocked – at least once after application started. Keep in mind that if you use the “Don’t remember password option” and forget the password, you’ll lose access to your notes! If convenience is more important to you than security, you can choose the option to remember the password. In this case CintaNotes will store encrypted password hash on disk and will be able to run all background services even before you enter the password for the first time. Also when the option to remember the password is active, it is possible to reset forgotten password and reclaim access to your notes with the help of CintaNotes tech support. The Lock and minimize to tray after X minutes of inactivity option controls the timeout after which you’ll need to re-enter the password. When this option is active, CintaNotes tracks user activity, and after the specified period of user not being active in the program, automatically minimizes itself to tray and locks the notebook. The Lock immediately after minimizing to tray option allows you to manually lock the notebook simply by minimizing the application to tray. Please note that notebook is also automatically locked when the workstation is locked, so to lock the notebook you can also press Win+L. into the Link field, and CintaNotes will open myfile.txt in Notepad each time you activate the note’s link. Well, that’s all for now. Of course there is a bunch of other enhancements and bugfixes in the new release, and if you’re interested, you can find the full list on the download page. Hope you enjoy the new version!